Impact (1) is a word that is a both a noun and a verb, and can be used with or without an object. As a noun, impact is “the force exerted by a new idea, concept, technology, or ideology: the impact of the industrial revolution.” As a verb with an object, impact is “to have an impact or effect on; influence; alter: The decision may impact your whole career.” Without an object, impact is “to have an impact or effect: Increased demand will impact on sales.” Over our first year, At the Ready Magazine has run a regular feature on the impact of first responders on their communities with first person stories, positive and creative agency outreach, social media support pages, and artistic tributes to those who serve. We don’t like to toot our own horn often, but here in our first Anniversary Issue, we want to share the story of our publication, the impact we have had on our online community, and the impact all of you have had on us. It is a great story. 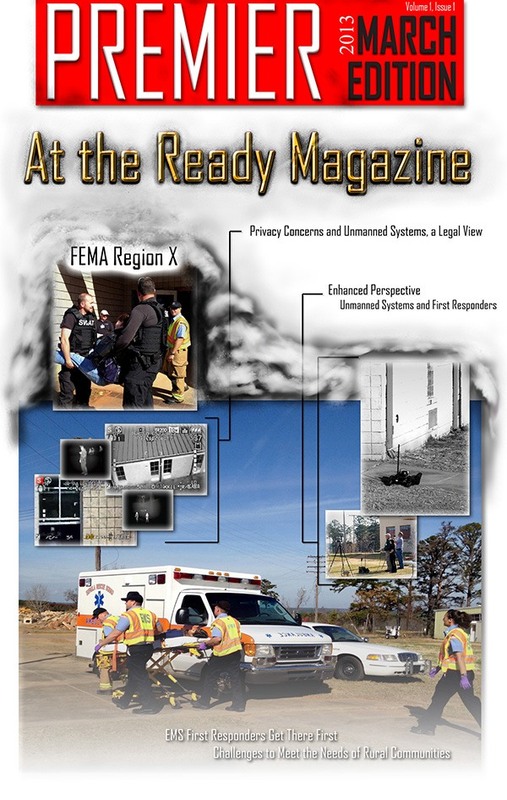 At the Ready Magazine was born from a conversation with a small agency that solved a resource issue with a creative idea, but felt the idea, while worthy of sharing, was not accepted by the larger publications that cater to that particular first responder market. In the infamous words of the Little Red Hen, “Then I will do it” was announced by a former FF/Medic without any publication experience, but with a passion to ensure that the smaller rural agency had a platform for the sharing of creative ideas. But that crazy person couldn’t do it alone, so a very talented web guy and a brilliant researcher and author (who spent over five years with Law Enforcement) teamed up to bring the first nine articles to market with the At the Ready Magazine name and logo. Our first issue went live on March 31, 2013. We could have never predicted the response and the support we have received. Over the past twelve months we have been blessed with incredible contributors, an expert advisory board, another great web guy, and an amazing editor. We have shared interviews and stories that are pretty eclectic- from Dispatch to the Public Safety Diver and everything in between. We have articles addressing issues such as Starting a Non-Profit for funding training and equipment, K-9 officers and how to choose a handler in your department, using robots for First Responders, free training opportunities in our At the Resource feature and others. We’ve featured the training challenges for our neighbors in Rural Canada, and the need to start a national EMS standard in Nepal. We LOVE to highlight atypical specialties such as "Farm medics", Civil Air Patrol, Lifeguards, Public Safety Explorers and Utility Companies as responders. Thank You. We are looking forward to another great year.